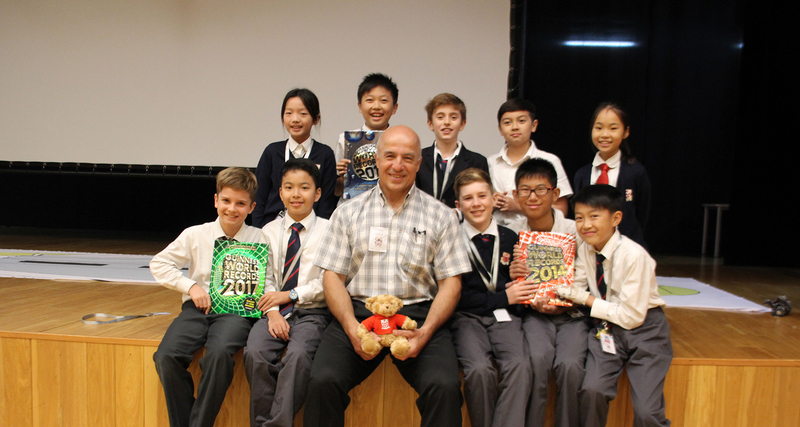 Turkish-born American adventurer Erden Eruç visited Dulwich College International schools in October to speak to students about his record-breaking journey around the world as a part of our annual Shackleton Lecture series. Mr Eruç is the first person in history to complete a solo human-powered circumnavigation of the Earth. His 66,299 kilometre route took five years to complete on foot and by canoe, bicycle, rowboat and sea kayak. He was the first person to row three oceans – the Pacific, the Atlantic, and the Indian – and the first to row an ocean from the southern hemisphere to the northern. He has summited the three highest mountains on three continents, is aiming for the other four, and holds 14 Guinness World Records. His key message to our students was to challenge themselves to be ambitious, and to not to let fear or uncertainty hold them back from trying to achieve their goals. The Shackleton lecture series commemorates Old Alleynian and renowned explorer Ernest Shackleton, whose name lives on as a synonym for courage, bravery and most of all, leadership. The lecture series features leading adventurers speaking to students about how to approach their personal and academic goals with determination and courage.